Poll: What Do You Look For in a Premium Theme? There is no shortage of “premium” WordPress themes nowadays, and their creators are fairly large in number as well. You have the monumental WooThemes, the bargain ThemeForest, and DIYthemes, the people behind the ever-popular Thesis theme, to name just a few. Companies aside, what criteria do you usually use when looking for a commercial theme? Is price the most important factor? Is support critical? Do you want the PSD files, so you can use the theme as a starting point for your own design? Take a minute to answer the poll. You can choose as many responses as necessary. What do you look for in a "premium" theme? If you are viewing this in a feed reader, you will have to click through to the original post to see the poll. AJAX Edit Comments, a popular WordPress plugin that allows commentators to edit their messages for a time after they post, has become a commercial plugin. Jeff of WP Tavern managed to ask the authors a few questions about their decision. Are there plans to simultaneously develop a free version with the paid version or will the free version be discontinued in favor of the paid one? I do plan to more-or-less discontinue the free version as far as features. However, I will continue to check the WP Extend version to make sure it works with the latest WordPress version. Will the plugin continue to be licensed under the GPL? Absolutely. What we’re trying to do with the new site is provide automatic upgrades (very similar to Gravity Forms), priority support, and affiliate opportunities. A 5-domain license starts at $10/year for now, though the price will be going up to $50/year after January 31st. On one hand, I like seeing more plugin developers make some money from their work. On the other hand, I think the pricing will put the plugin out of reach of many of its long-time users. What exactly are they doing? They’ve set up a site reminiscent of the WordPress.org plugin repository, but for commercial plugins. As a customer, you can browse potentially useful plugins, and pay a flat fee (which the author chooses) to download the files. You can also opt to pay a subscription fee to gain access to an exclusive support forum, and instant access to upgrades to the plugin. (Those who pay the one-time fee instead of subscribing have to pay for the upgrades.) The plugins are all GPL, as WP Plugins requires it of all submissions. Poll: What is Your Take on Commercial WP Plugins? Gravity Forms has had some good success selling their (GPL) plugin in recent weeks, and the Shopp plugin has been going for awhile, too. I, myself, have plans to “go commercial” sometime in the coming months as well. I’d like your opinion on the slow, but definite growth of paid WordPress plugins. Are you glad that developers are finally getting serious about developing and supporting plugins for the long term, and making a business of it? I am. Note: If you’re reading this in an RSS aggregator, you may have to click through to see the poll. Personally, I think commercial plugins will greatly increase the quality of available WP plugins, just as has happened with themes. There has been a lot of talk about a new WordPress plugin called Gravity Forms lately. 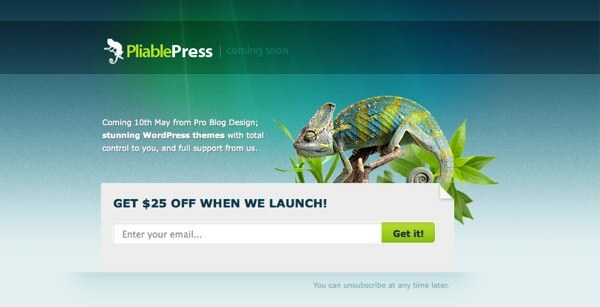 It’s one of the first major premium WordPress plugins, costing $39 for a single-site license and $99 for multi-site. What does it do? It’s a bit like the ever-popular cForms plugin, but with a lot more polish, and plenty more features. The interface is a breeze to use, letting you create new forms with ease. You just click a button to add a new form field, then you can adjust it live in the form preview.